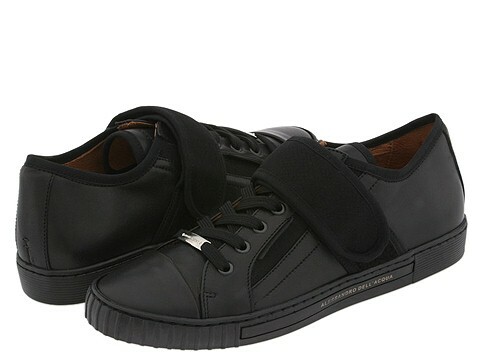 This cool sneaker design from Alessandro Dell'Acqua is simple but not so basic. Smooth leather upper with textile inlay and trim. A hook-and-loop fastener along with logo detailing completes the look. Leather lining. Rubber sole. Made in Italy.